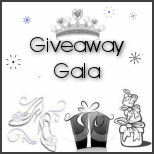 Welcome to the Collective Media Magic Monday Giveaway Linky and Gala. A collection of featured giveaways from five blogs including a linky for you to link up your giveaways! This Monday Giveaway Linky will be hosted on all five blogs giving you the benefit of reaching all of our combined readers. So feel free to check out giveaways and link up your giveaways. We only ask you link directly to your giveaway, any links to your homepage will be removed. Fab Finds For Fathers Day Giveaway!